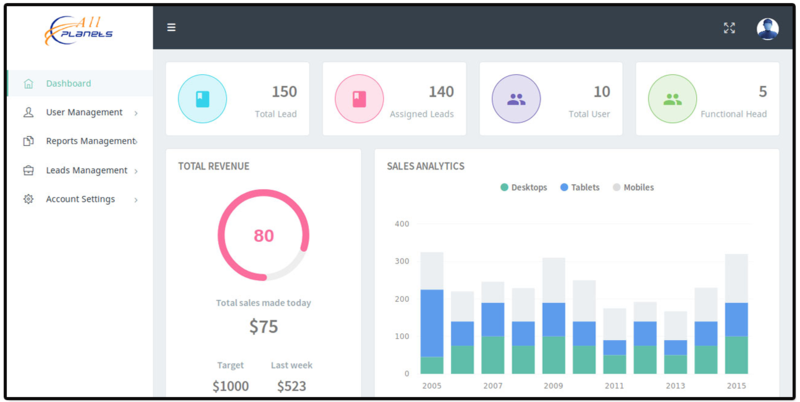 Digital Marketing Integrated Lead Management Software Platform. 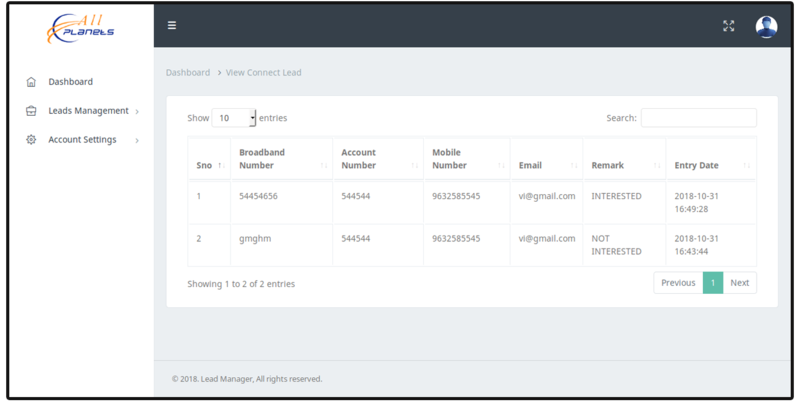 Comprehensive Lead Management Software Platform on SAAS Model, capturing leads from Digital Marketing Campaigns, Landing Page, Social Media, Email & SMS Marketing & Direct Sales. A lead management system should be as invisible to the users as possible. It shouldn’t take your focus away from managing leads to learning to use the sales management software. That’s the reason we designed Call Planets to be the most intuitive lead management software in the market. 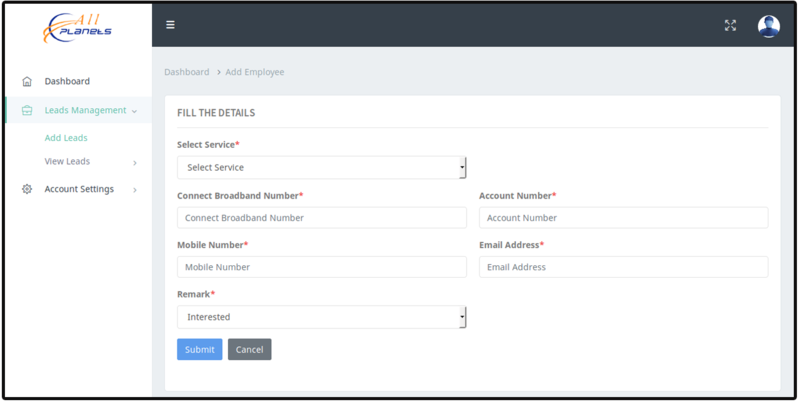 Our elegant cards and columns layout ensures that you stay on top of all your leads and the entire sales cycle from a centralized location. Your focus should always be in closing deals. Bottlenecks and stumbling blocks in sales management pipeline distract your team from being productive. Use our shared todo lists and put the right persons incharge of the various stages of the sales cycle. Never let them scramble for help when it comes to managing sales pipelines ever again! Be it small teams or multi national corporations spread across geographies, Call Planets is the lead management solution that brings much needed sanity to sales pipeline management. Lead trackers tend to distract users with their clunky workflow. 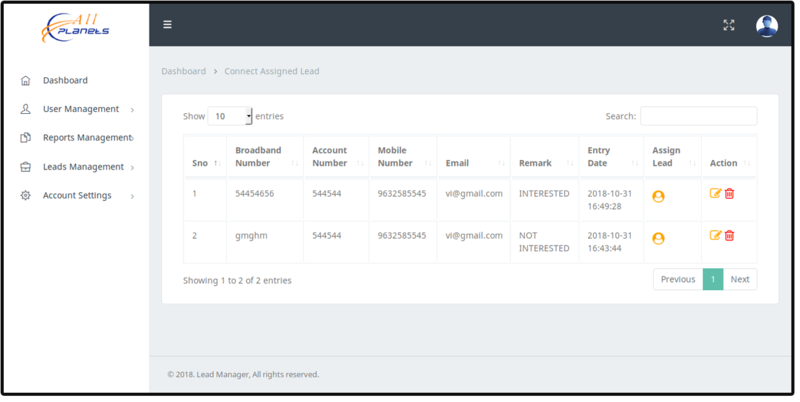 For a change, use our filters to sort leads by users, products, sources, zones, contacts or any combination of the above for faster and efficient lead management.